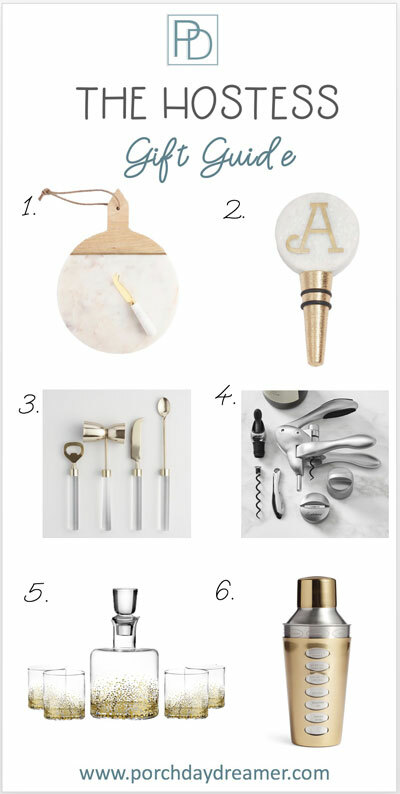 You are here: Home / Home Design / Seasonal Decor / Christmas Posts / 42 Gift Ideas for Every Person You Know! 42 Gift Ideas for Every Person You Know! Trying to figure out what to buy that person you don’t know very well or the person who has everything? 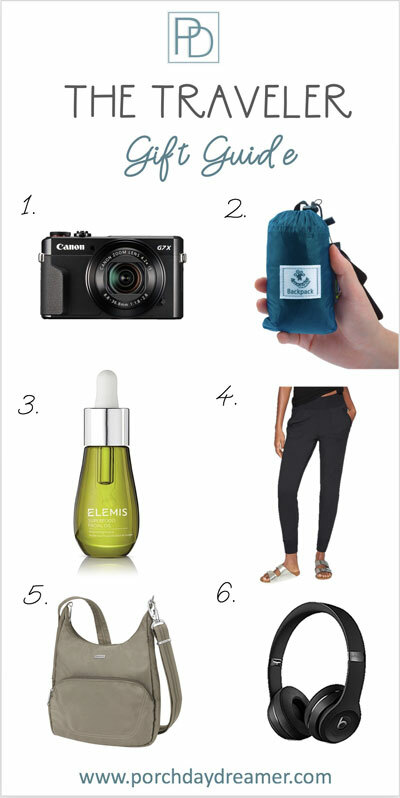 Here are 42 gift ideas at every budget level! Here is your gift giving guide for just about anyone you know! Think about their personal interests and shop with that in mind. Or play it safe with a simple affordable gift. It’s all here for you for easy online shopping this holiday season! Yes, I love to find the perfect gift for my friends, family, and co-workers. The challenge is interesting to me and I always start with their interests first! That is the best way to discover the best gift idea they will use and appreciate no matter what the occasion. 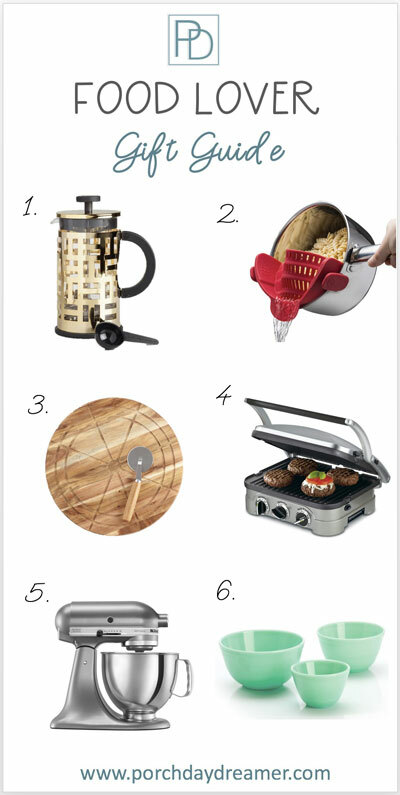 This gift guide is not only for the Christmas season, but save it for later whenever you are stumped for a gift ideas. Trust me there will be something here at that will fit your budget and be the perfect gift! Hopefully, who you are shopping for has interest in one of these 7 different gift buying personality types. If you don’t know what to get someone, always think about their activities or passions. That will guide your shopping! When you add it all up, there are a whopping 42 gift ideas! Let’s jump right to it so you can start buying those gifts and have them delivered in plenty of time to wrap and get them put under the tree! Is there a person in your life who you would define as the “hostess with the mostess”? They make every visit to their home feel like an event and people talk about their parties for days? Here is your guide to help them keep up that mojo! From serving cheese to serving adult beverages, here are options that are full of glitz and glamour! Do you have a person in your life who loves anything that is technologically focused and makes their life easier? 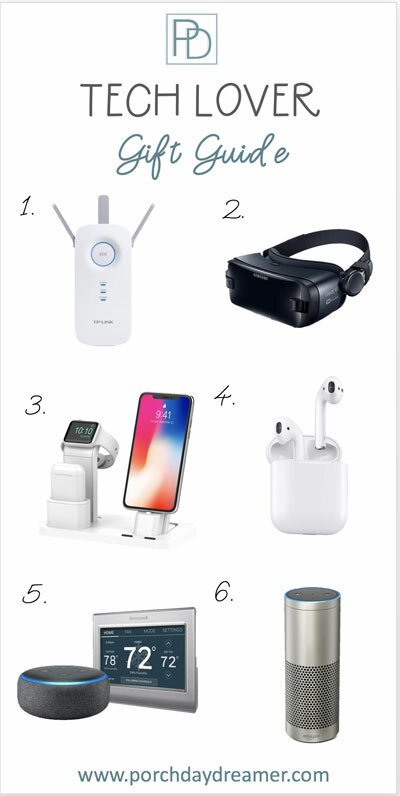 These items get a little pricier, but they will make your tech lovers day! I’ve even included virtual reality goggles, which will blow their mind. 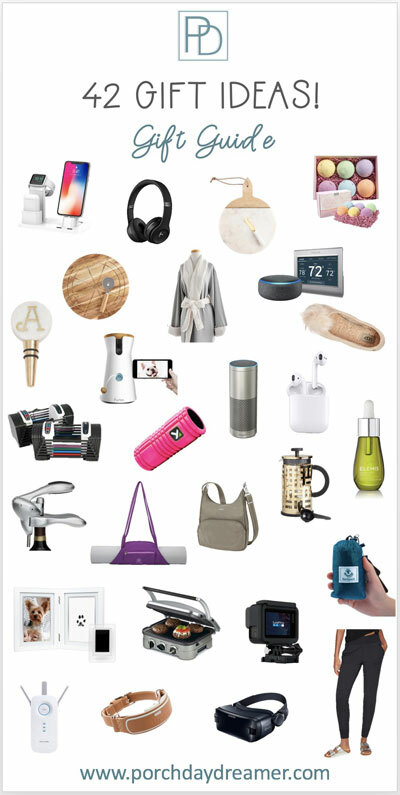 App driven, voice activated, smart home savvy, and tunes for days are found on this list! Need stronger wi-fi to support all these devices – yes, I even have that. 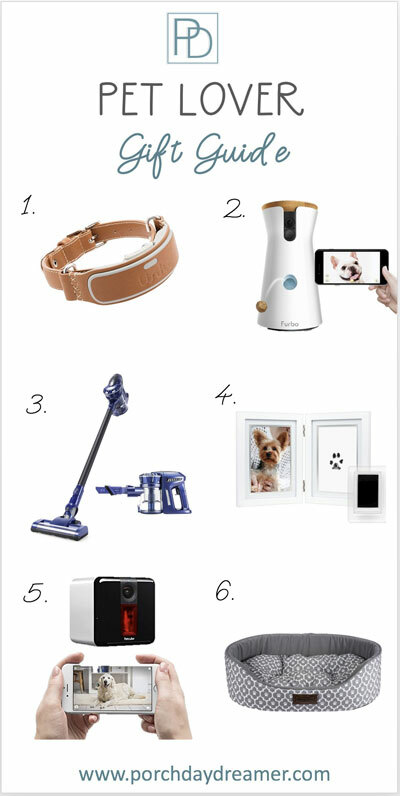 From mementos, to comfort, vacuuming up pet hair, and keeping a watchful eye I have you covered! Everyone knows a person who loves to exercise or someone who starting the new year will focus on their fitness routine. Help encourage a healthy lifestyle! I’m loving the foam roller and scale that syncs with a FitBit to really keep a person on track! 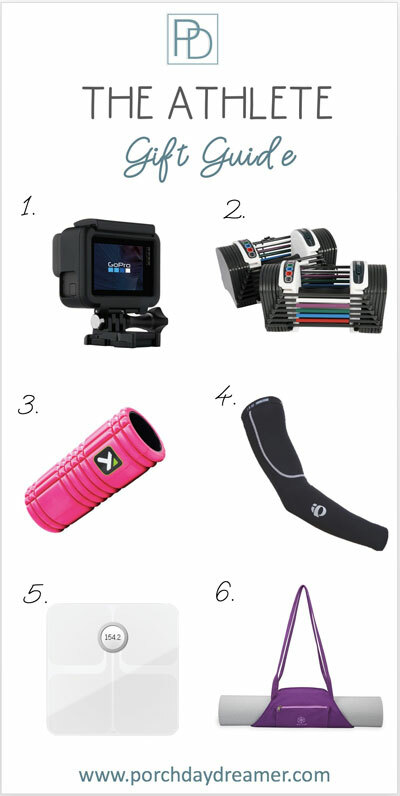 Whether a high-tech or low-tech workout, there are options that will offer something new for the different athletes in your life! The arm warming sleeve is a really good idea for a runner or even my college football playing son! From coffee, rinsing/strain, mixing, cutting, and time-saving cooking there are fun options for the everyday cook. Do you know someone like this in your life? Super-woman: mom, career woman, wife, friend, daughter, etc. She needs help calming her mind and body! Or maybe you are looking for a unique gift for your girlfriends? Pampering is always a great option and will really show you care! 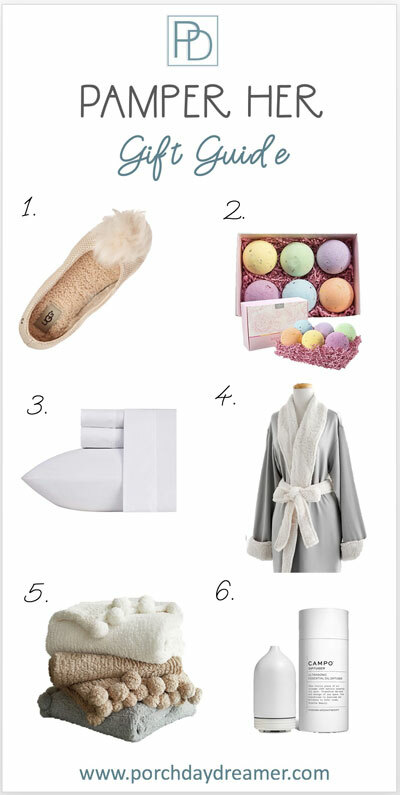 Bath time or nap time things that feel luxurious, smell delicious, and drown out the crazy of the day are necessary for relaxing and de-stressing. California Design Den recently sent me sheets to try and they are AMAZING: wash well, fit deep mattresses, stay put with secure elastic, and feel oh so dreamy in soft cotton! Looking for adventure yourself or know someone who plans their next trip before their current one ends? Or maybe you have a business road warrior who needs a little help making travel a little easier? Now It’s Time to Get Shopping! I hope this was helpful and in someway I’ve made this crazy time of the year feel a little more organized. If you don’t have Amazon Prime, I highly recommend it and it will pay for itself with all of the free shipping and free original TV Series plus movies! Amazon Prime Video is what I use when I travel and download full series like Sneaky Pete or The Patriot! Happy Holidays! Merry Christmas! It’s the most wonderful time of the year 😉 Check out my new Christmas mantel for decorating inspiration at this magical time. Please consider signing up for my weekly email newsletter, so you never miss a tip, project, or post!